Use with GO! Qube Mix & Match 12" Block Set (55778) to make 12" finished blocks. Dies not sold separately. Offered as a 2-die set only. Available for owners of the GO! 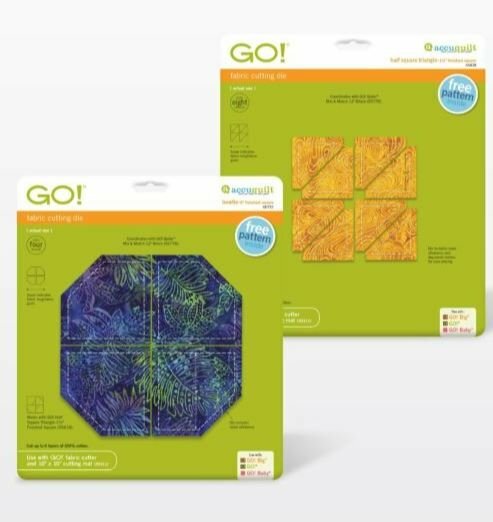 Qube Companion Set-Classics (retired item) who want to complete the GO! Qube Companion Set-Corners without needing to buy duplicate dies. Available in 6", 8", 9" and 12" finished block sizes.